Below are several scenarios that illustrate techniques for the visualization of 3D scalar volumes, using volumetric rendering. As always, make sure to study also the complementary techniques described in the source code samples for Chapter 10. 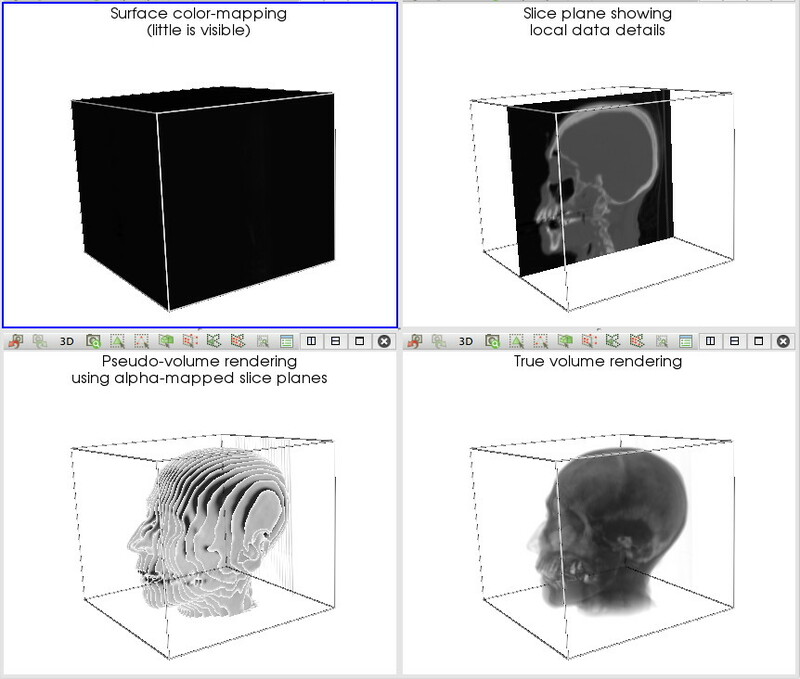 Try changing the color and alpha mapping function to obtain different insights into the volume data. This scenario demonstrates the effects of various parameters of volume rendering. 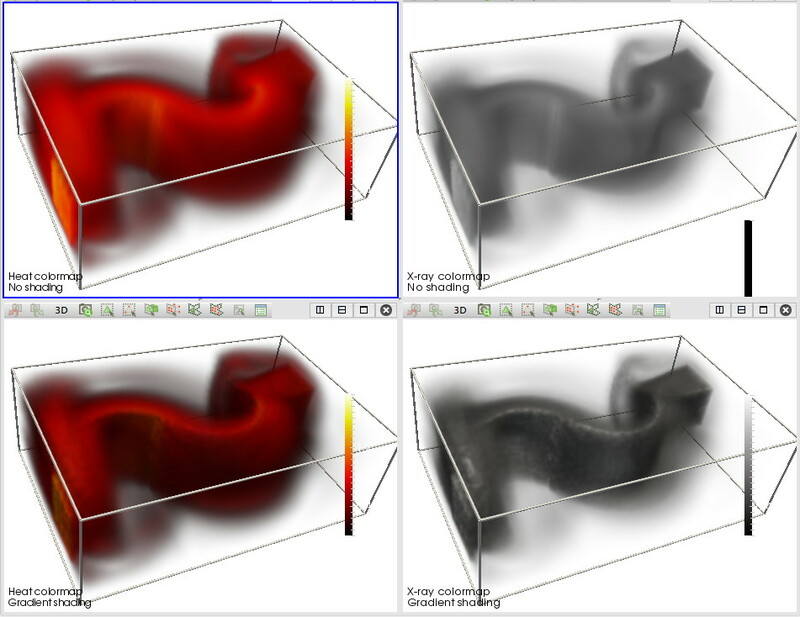 As dataset, we use a 3D flow volume, for which we visualize the scalar velocity. Tuning the colormap and volumetric shading effects reveals different structures pertaining to high flow velocity areas in the dataset.